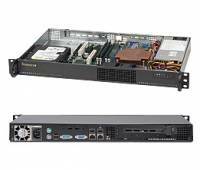 Supermicro's mini-sized SC510 1U chassis features a depth of only 11.3" with advanced air flow / thermal design for client nodes, firewall applications, mail servers, web servers & other server applications. It supports a wide range of single processor based Micro ATX 9.6" x 9.6" motherboards. SC510T also supports dual 2.5" hot-swap drive bays, easy for upgrade and maintenance. 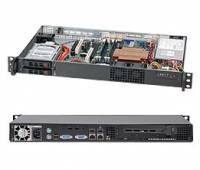 In addition the SC510 is a perfect solution for home/office servers, with system noise level running at low 30 dB under the normal operation.